Blazing Dragons is an Adventure game, developed by Illusions Gaming Company / Crystal Dynamics and published by Crystal Dynamics, which was released in France in 1996 for the Sega Saturn. JUEGO SEGA SATURN BLAZING DRAGONS (PAL) GERMAN VERSION! 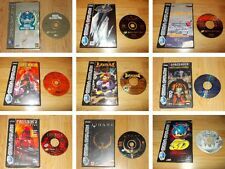 NO GAME Blazing Dragons Sega Saturn Box Only!